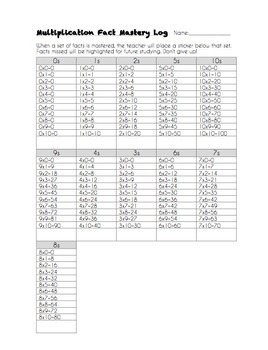 This is an easy way to keep up with student's memorization of their multiplication facts from 0s-10s. I made it to go along with Shelly Gray's Multiplication Mastery Program. I highly recommend it! Her program does take time to set up (lots) but it is so worth it!